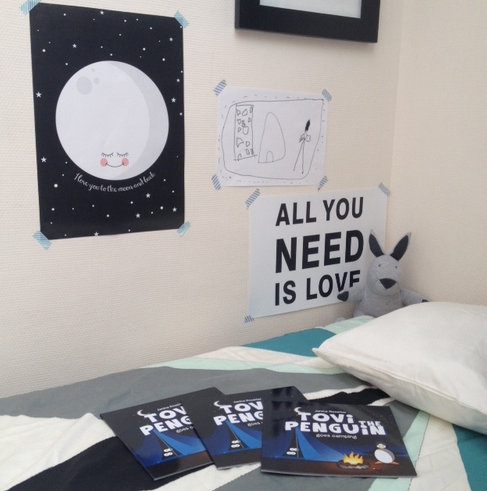 I’m always excited to meet creative people who are realising their dreams, and Nina Rossiter has done just that by creating and self-publishing her own set of children’s books. Creative Mamas are doing it for themselves, and getting their work out into the world in whatever way they choose. 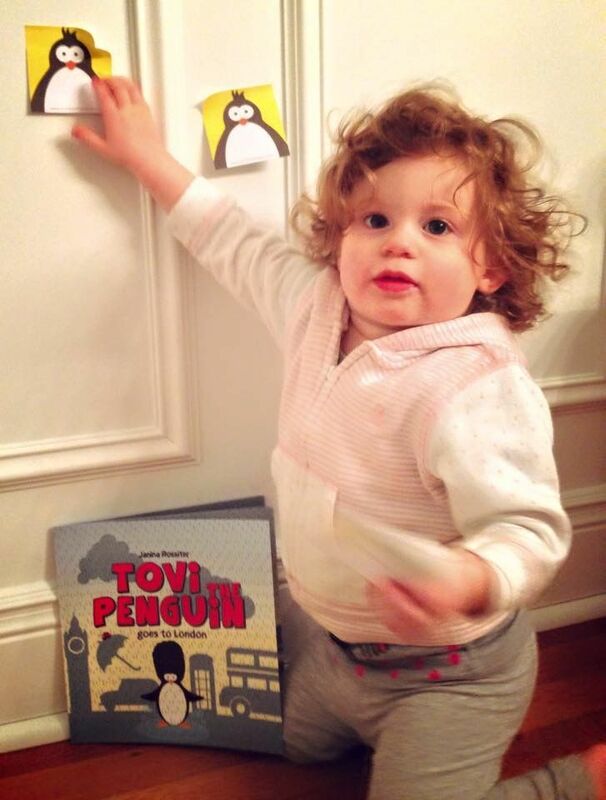 I originally discovered Nina, and her character Tovi, through Facebook. 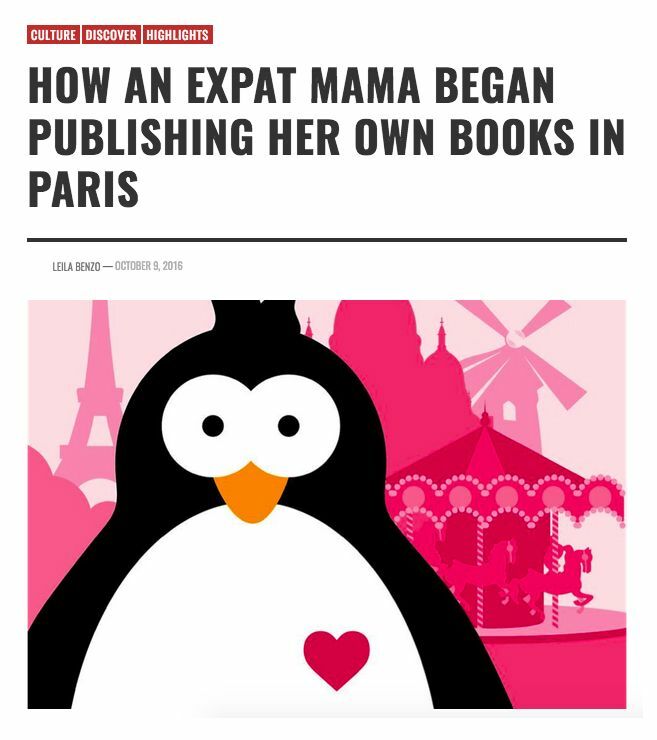 I noticed that she was self-publishing and promoting her work online. 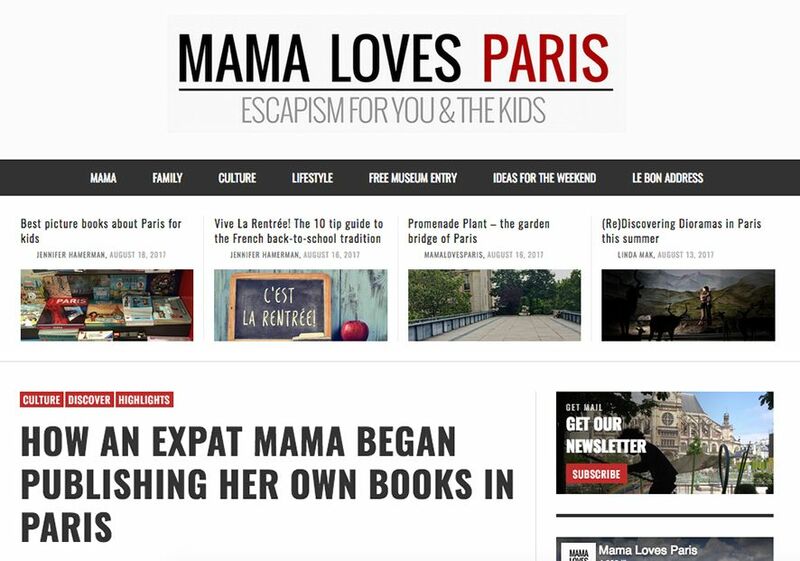 In between her hectic working mum, with nocturnal baby, schedule, she managed to find the time to share a few details about her projects in Paris with MLP. 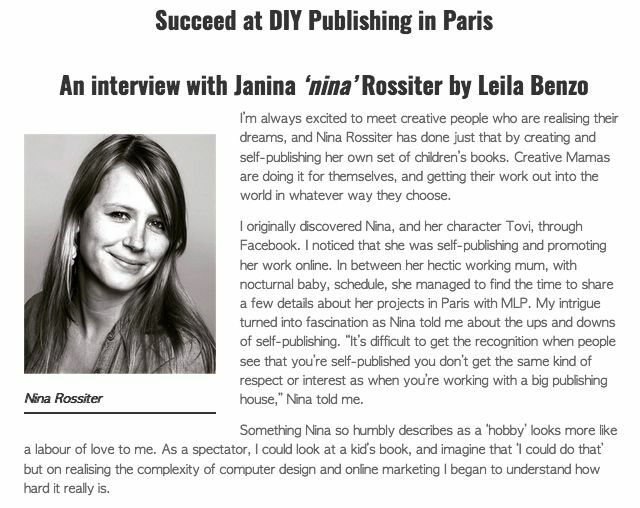 My intrigue turned into fascination as Nina told me about the ups and downs of self-publishing. “It’s difficult to get the recognition when people see that you’re self-published you don’t get the same kind of respect or interest as when you’re working with a big publishing house,” Nina told me. Something Nina so humbly describes as a ‘hobby’ looks more like a labour of love to me. 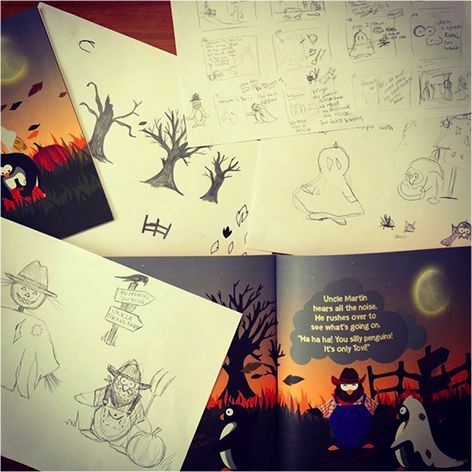 As a spectator, I could look at a kid’s book, and imagine that ‘I could do that’ but on realising the complexity of computer design and online marketing I began to understand how hard it really is. With Easter around the corner Alexander is getting excited as he will get to go and see his grandparents whom live in London. His nana organises the best egg-and-spoon races in town! And you know who else will be travelling to London!!? 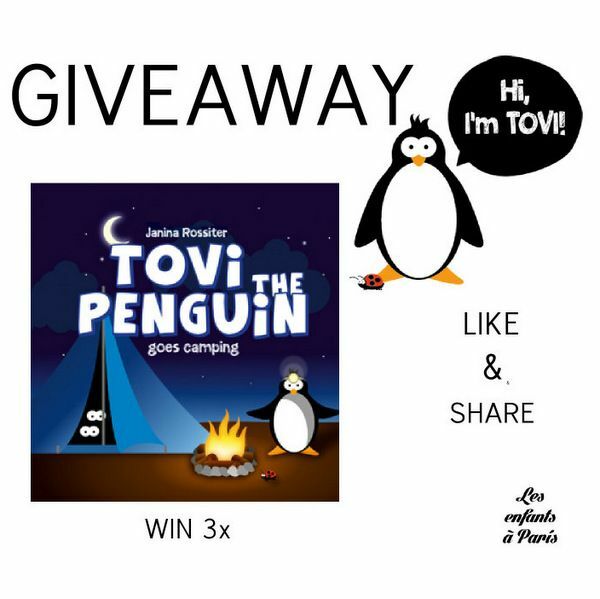 Yep, it’s Tovi! 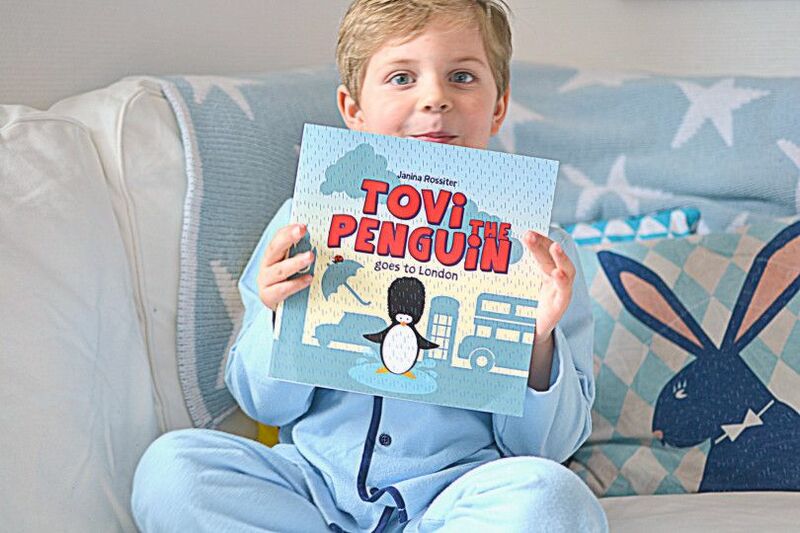 Tovi the penguin goes to London is another great addition to the Tovi series. Our nightly routine nearly always involves either my husband or myself reading a story to Alexander. 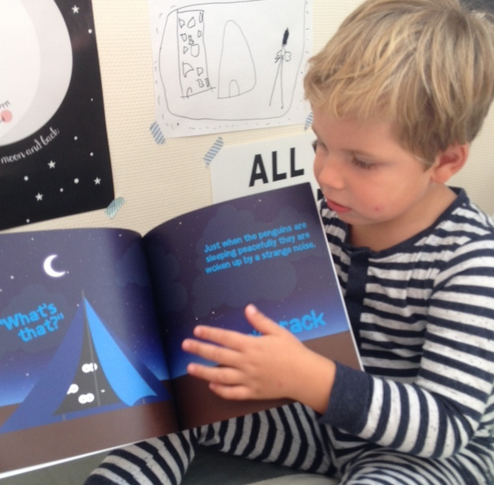 In fact he wont even go to sleep until he’s had his story. 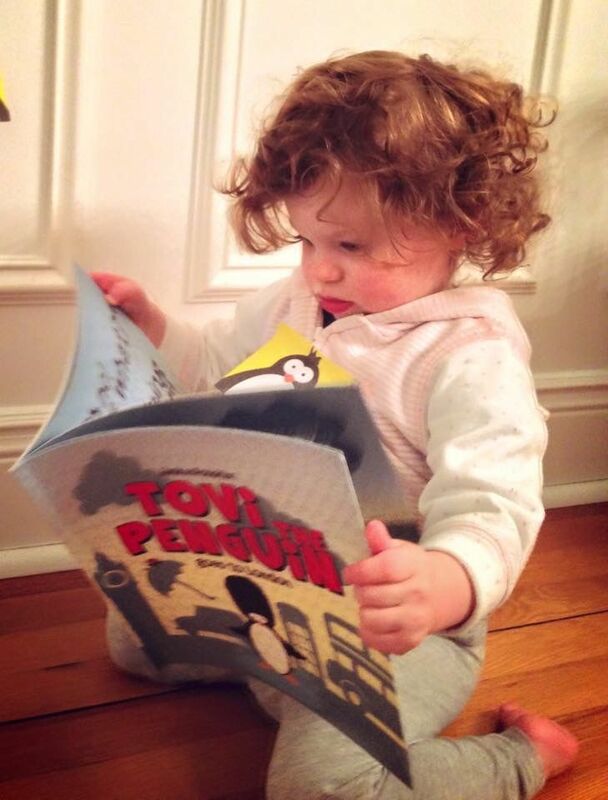 So we’re always looking for new interesting stories to read to him and his current favourite is Tovi the penguin. 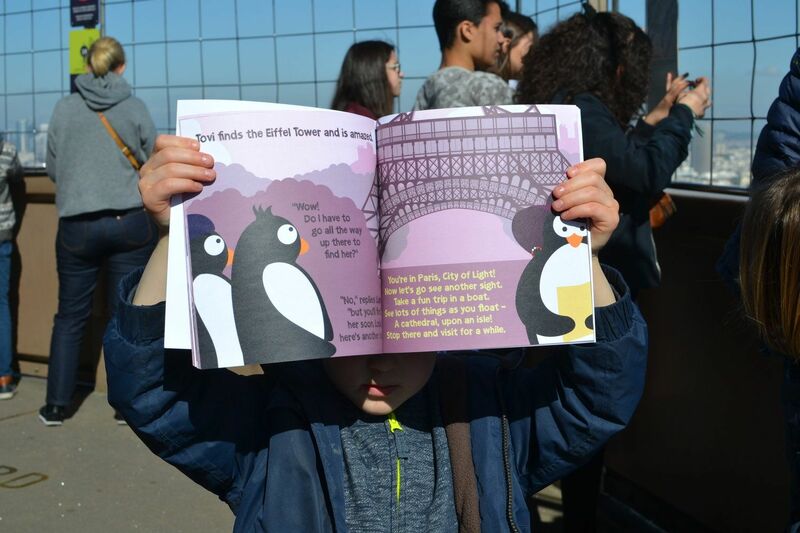 It’s a nice simple picture book, but the real strenght of the book is the fact the parents can read the story or the the child can follow the pictures on their own. 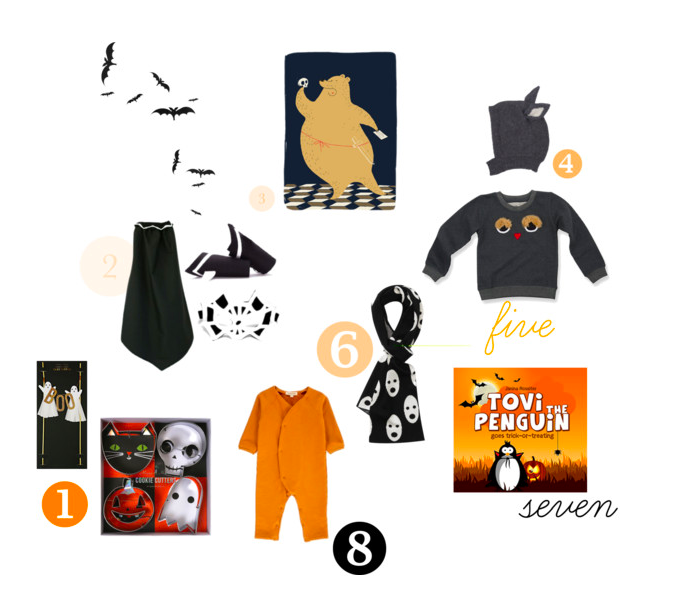 made a selection for Halloween items. 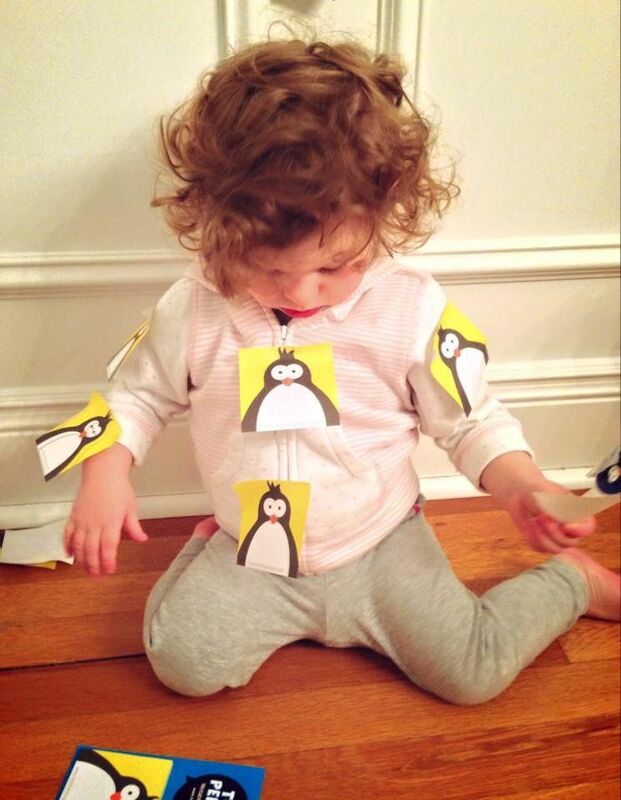 Penguins are among the cutest looking animals on earth (a close second to the panda perhaps?). And if there is one city that is also universally loved it surely has to be Paris (I'm biased of course because I live here). 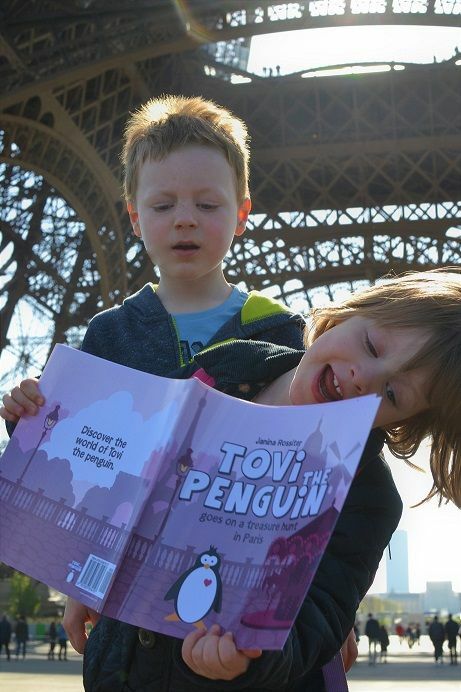 So I think Janina Rossiter has struck gold with her little gem of a book called Tovi The Penguin Goes on a Treasure Hunt in Paris. 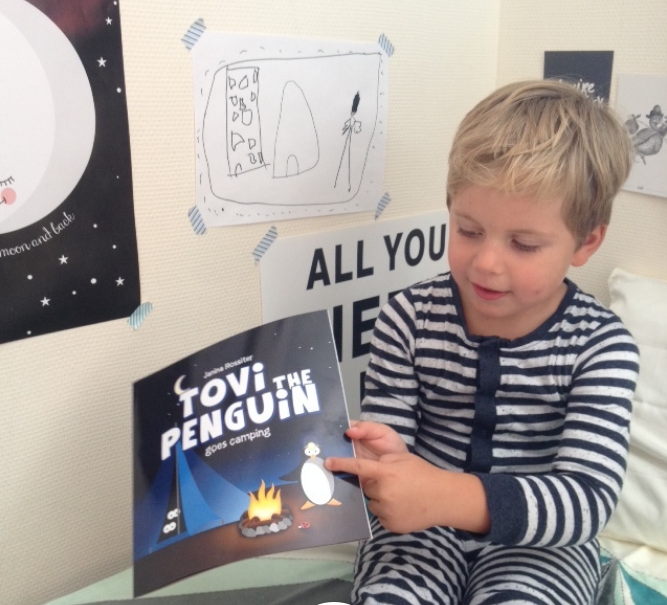 It is the latest in a series of 7 books which also includes Tovi goes to London, Tovi goes camping and my children's recent favourite, Tovi goes into space (which I bought my 5-year-old for Christmas). 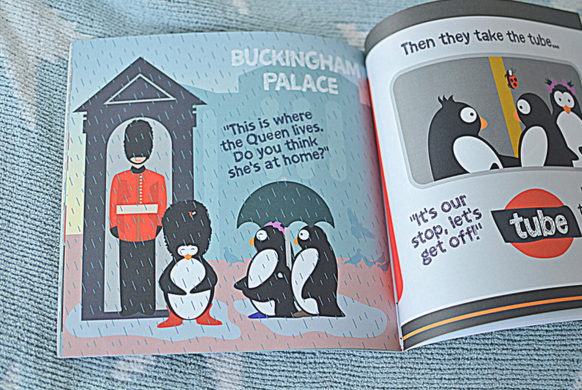 The loveable penguin is the creation of designer, illustrator, working mum and self-published author Janina "Nina" Rossiter. I was so pleased when she asked Five Little Stars to review her latest book. Nina is an expat in Paris, like me, so I am going to declare this upfront: we know each other socially. 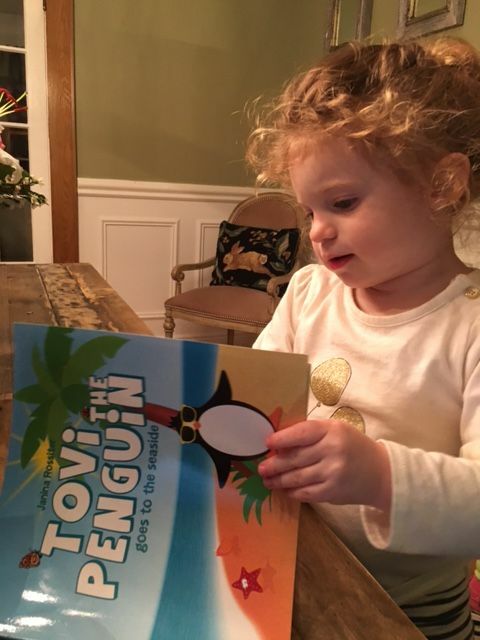 Nina's books are aimed at 2 - 6 year olds. 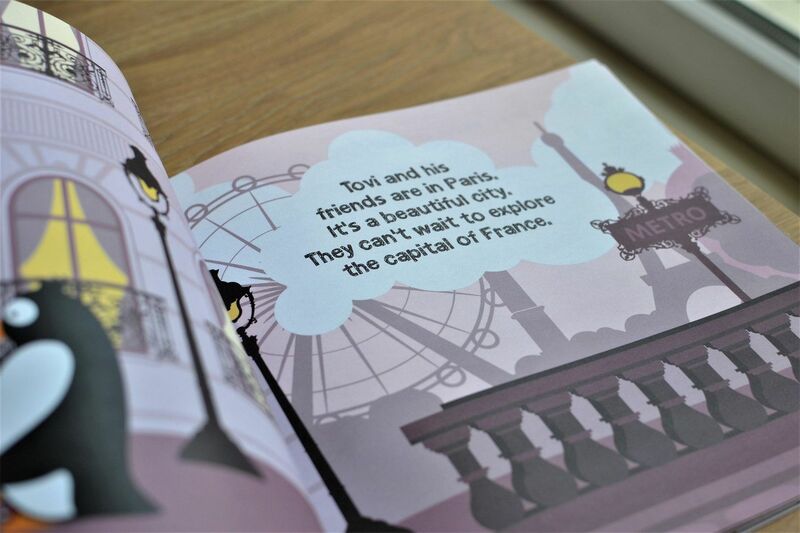 I'd say Tovi goes to Paris is for older children in this age range because they have to try to answer some questions about Paris ("clues") which lead Tovi to his final destination (hint: it's a very famous painting in The Louvre). 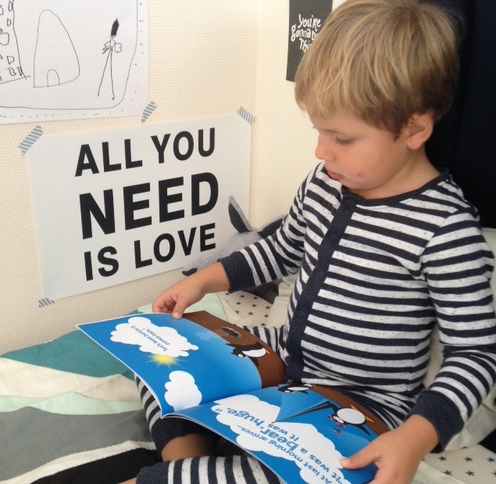 Adults will still need to read the book with older child as it's not an 'easy reader'. 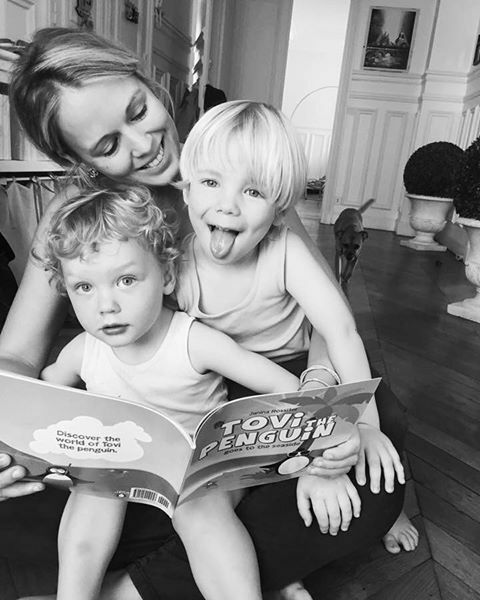 Janina Rossiter is a German author who writes and illustrates the children’s book series Tovi the Penguin. 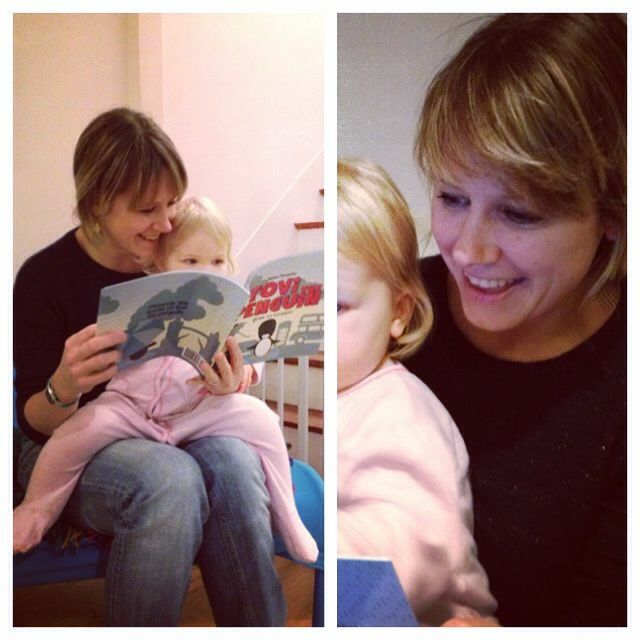 She lives near Paris, France, with her British husband and young daughter, working as a freelance packaging designer. 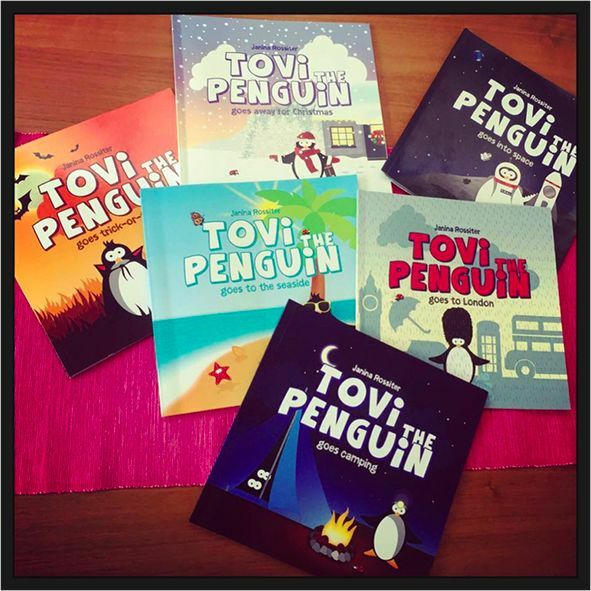 She started her career as an illustrator in July 2014 a when she decided to bring Tovi to life. Janina has a passion for design, design blogs & fashion blogs and everything that is creative! 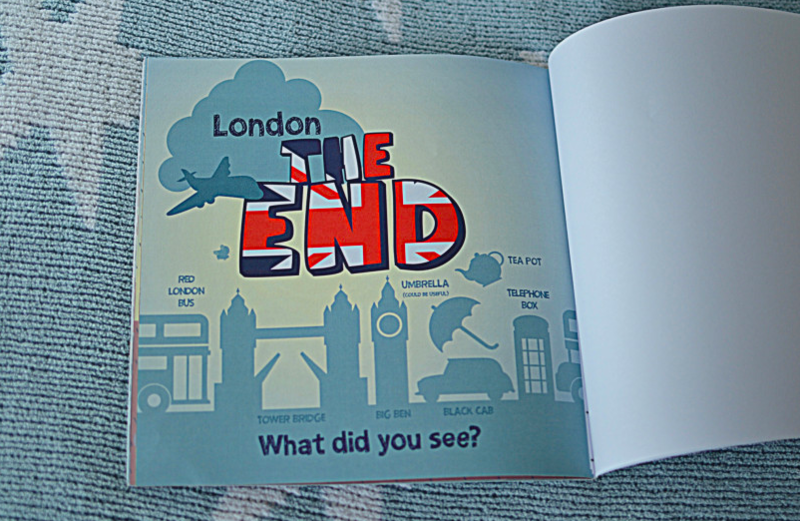 How did you decide to start illustrating children’s books?